Roanoke Police have identified the victim of a fatal weekend shooting as a Brooklyn, New York man. Police say 28-year-old Milton Roman was with an acquaintance when both were victims of a home invasion at the Maple Avenue apartment. At last word, no arrests. POLICE UPDATE: Roanoke Police have identified the victim of the homicide on February 2, 2019 as Milton Roman, 28 of Brooklyn, NY. Roman was with an acquaintance, identified as Jonathan Billings, 33 of Roanoke, at an apartment on Maple Ave SW at the time of the incident. 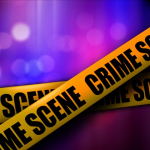 At this time, the investigation indicates both men were victims of a home invasion. Billings sustained minor injuries during the incident. At this time, no arrests have been made. The investigation is ongoing. Anyone with information about this incident is asked to call (540)334-8500 and share what you know. You can also text us at 274637; please begin the text with “RoanokePD” to ensure it’s properly sent. Both calls and texts can remain anonymous. ORIGINAL NEWS RELEASE: On February 2, 2019 just before 11:30 pm, Roanoke Police responded to a report of a gunshot victim in the 1300 block of Maple Ave SW. Officers located an adult male with multiple gunshot wounds. The male was transported by Roanoke Fire-EMS to Carilion Roanoke Memorial Hospital where he died from his injuries. This investigation is ongoing. Anyone with information about this incident is asked to call (540)334-8500 and share what you know. You can also text us at 274637; please begin the text with “RoanokePD” to ensure it’s properly sent. Both calls and texts can remain anonymous.